67 points currently divide defending World Champion Lewis Hamilton of Mercedes, from his main title rival from Ferrari, Sebastian Vettel. The Scuderia have all but let this championship race slip away from them, and with only 4 races to go, Hamilton has the chance to secure the world title in Austin itself. 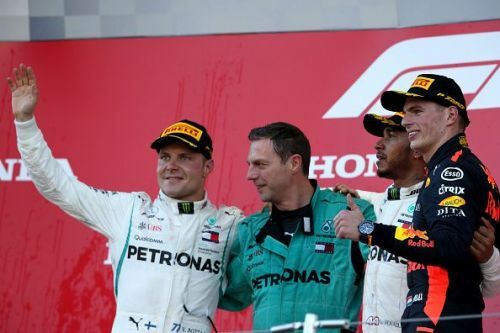 Mercedes even look to clinch the Constructor's Championship as Valtteri Bottas has leapfrogged Kimi Raikkonen to third place, leaving both Mercedes ahead of a Ferrari. All the while, Max Verstappen has taken over Daniel Ricciardo's early lead in the battle between the Red Bulls and has been putting in some showstopping drives. The young Dutchman may well be the next Honda powered World Champion in 2019, but for now, he is seemingly doing his best to get in the way of Vettel as much as possible, although the Dutchman himself doesn't seem to even think there's a title battle anymore. In Austin this weekend will we see Vettel put up a fight, or will Hamilton inch all the way to the foot of the Championship trophy? While the head of the driver's race isn't the most captivating, could we see a fun battle in the midfield as drivers like Esteban Ocon, Brendon Hartley, Sergio Perez and Sergey Sirotkin look to clinch the final seats as George Russell and Lando Norris have confirmed seats in 2019? What will go down in Austin? We sure don't know, but like always that won't stop us from guessing. While Verstappen has been getting the better of Ricciardo, mostly due to factors outside the Australian's control, he hasn't given up yet. Ricciardo is the only driver not named Hamilton or Vettel to win more than one race in 2018. The Honey Badger has not had the best of luck in the last 9 races, either taking penalties or DNF'ing at least 6. 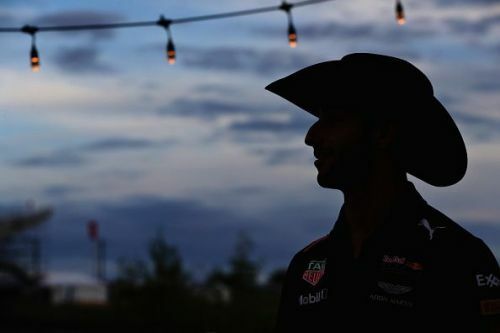 However, as we come to Austin, we see Ricciardo getting a little of that pep in his step back due to his apparent fondness for the states. We've seen in the past that Ricciardo has a love for Southern Barbecue and of all the drivers on the grid, seemed to have the most fun being announced by Michael Buffer last year. With the Australian heading to Renault in 2019, we see him parlaying his enjoyment of the weekend into a solid performance on Saturday and grabbing pole. Whether it be due to variable conditions, or to a problem for the Red & Silver cars, we don't know, but we do think that we will be seeing a Bull at the front of the rodeo starting the race on Sunday.